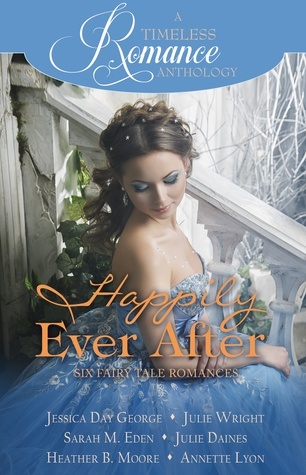 This is a great collection of fairy tale retellings by a very talented group of authors. I'm appreciating novellas more and more, and they are perfect for fairy tales. I really liked the take most of the stories had on the fairy tales. It's hard to pick a favorite-it's a toss up between The Miller's Daughter (Rumpelstiltskin) and Black Fern (Beauty and the Beast). Full disclosure-I was not familiar with all of the fairy tales being retold. That didn't bother me with Mail-Order Princess (apparently that is a retelling of a fairy tale called The Wild Swans). While it was a new-to-me fairy tale, it was entertaining and engaging. I got held up with So Rare a Power. I kept thinking about The Lion, the Witch and the Wardrobe, and I couldn't figure out how that related to the other stories. I mentioned it to my sister and she told me it was a retelling of The Snow Queen (think Disney's "Frozen"). That might help going into it. Overall, I thought this was a very creative collection. It was a fast read, and I can see myself reading some of these stories again.